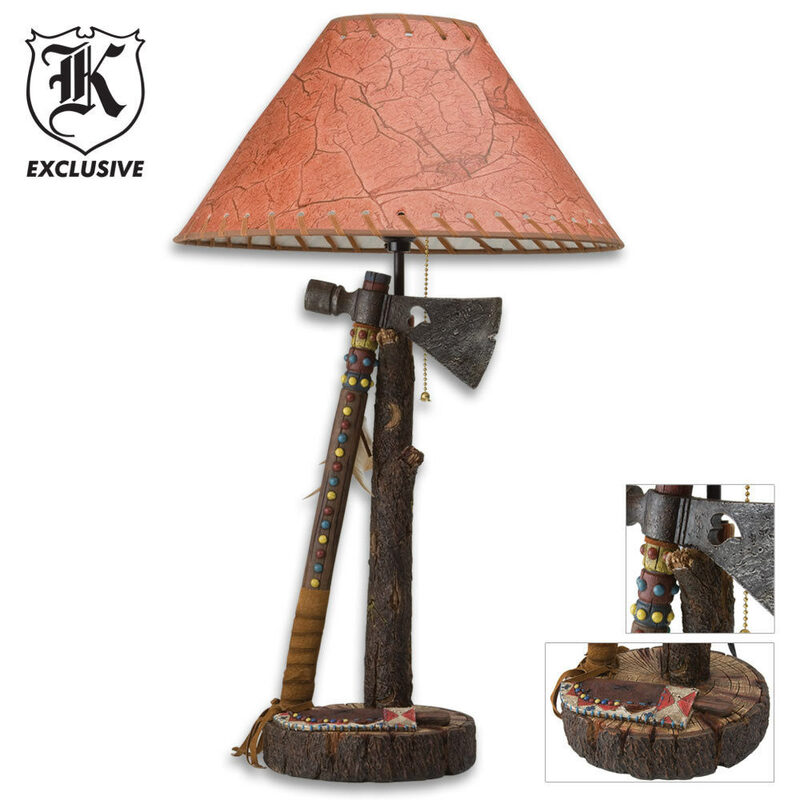 Indian Axe Resin Table Lamp | BUDK.com - Knives & Swords At The Lowest Prices! This Indian tomahawk and knife table lamp is the perfect addition to your southwestern decor. Its base resembles a stump with an Indian knife laid across it while the stand is a tree with a tomahawk leaned against it, adorned with real feathers. The cast resin construction of this lamp looks and feels rock solid. It masterpiece was hand painted by skilled western artisans. 20" overall.